Evan Jenkins celebrates on stage with his family. After switching parties in the spring, Evan Jenkins will now head to D.C. after pulling off what could be called a monumental upset. Jenkins unseats Nick Rahall from the 3rd congressional district seat after a reign that lasted 38 years. Jenkins began his political career as a member of the House in 1994 and elected to the Senate in 2002. Even though he defeated a long time member of Congress, in his victory speech Jenkins says he appreciates what Rahall did for the state. Jenkins was initially a republican, and switched to the Democratic Party in 1993 to run for the House of Delegates. In July of 2013 he announced he was switching back to the Republican Party to run against Rahall. And that switch and subsequent win will put Jenkins on the majority side. The victory means Rahall for the first time in almost 40 years will no longer represent southern West Virginia in Washington D.C.
Around 10 o'clock, the 19 term member of the U.S. House of Representatives spoke to supporters and reporters. He thanked his family, friends and volunteers. The 65-year-old Rahall was first elected to congress in 1976, at the age of 27, making him one of the youngest members to serve in the U.S. House of Representatives. The two candidates for West Virginia's 3rd Congressional District squared off in their only scheduled debate Tuesday evening in Huntington. The event was sponsored by the Huntington Herald-Dispatch. Republican state Senator Evan Jenkins came out swinging, immediately attacking Democratic Congressman Nick Rahall in his opening remarks for his party connections, calling him a "foot solider" for President Obama and former House Speaker Nancy Pelosi. Democratic Congressman Nick Rahall spent $1.2 million last quarter for his tough re-election bid, more than double what GOP opponent Evan Jenkins spent. As political ads flooded the airwaves in the race, Jenkins spent $542,800 last quarter. 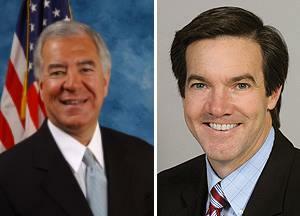 Seeking his 20th term, Rahall raised $487,200 from July through September and had $381,700 cash left. Jenkins, a state senator, raised $307,200 and had $461,400 in his campaign account. 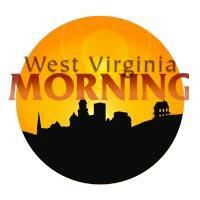 On West Virginia Morning, we’ll talk with the Managing Editor of the political website factcheck.org for the back story behind the black lung benefit accusations candidates Evan Jenkins and Nick Rahall are making. And we visit Appalachian Heritage Day at Athens Elementary school in Mercer County.